The story begins with the Dutch trying to find a good route to Asia to get spices. 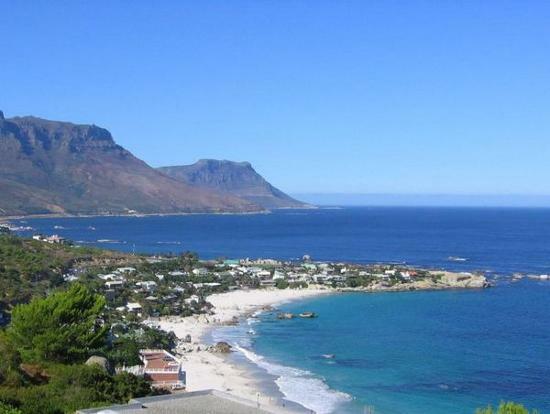 Dutch settlement, under the Dutch East India Company, began in the Cape of Good Hope (Cape Town) in southern Africa in 1652, making it the oldest European-based culture in Sub-Saharan Africa. Although there were small British settlements along the West African coast from the 18th century onwards, mostly devoted to the commerce of the slave trade, British settlement in Africa began in earnest only at the end of the 18th century, in the Cape of Good Hope. It gained momentum following British annexation of the Cape from the Dutch East India Company, and the subsequent encouragement of settlers in the 'Settler Country' (or 'Borders') region of the near side of the Eastern Cape in an effort to consolidate Cape Colony's eastern border. Many of the Cape Dutch and a few English settlers became Afrikaners(Boers) by beginning their brave Great Trek away from the Cape, to the north of modern-day South Africa, to make a new state, so they could rule themselves. In the late 19th century, the discovery of gold and diamonds further encouraged colonisation of South Africa by the British. Remembering how Britain took over their last state, Boers were not happy when the British arrived to work on mines in their new state and called them 'Uitlanders' (outsiders). However, Cape Colony politician Cecil Rhodes was keen to make a fortune from mines, which indeed he did. A savage war was fought against the Afrikaner (Boer) people, who struggled under the direction of leaders such as General De La Rey to keep their independence. In order to win the Anglo-Boer War, the British government inflicted a vicious holocaust upon the Boer people, killing an estimated half of their children, burning their farms, placing them in concentration camps decades before Hitler did such a thing. To this day, this remains a sore topic between Anglo and Boer Africans, even if London was to blame. The whole of South Africa came under British rule, but the Afrikaners, nervous after the holocaust, like the Jews after Hitler's abuse, sought to rule themselves, gained control of the South African government, and wouldn't share this with the non-Euro African population. The search for gold drove expansion north into the Rhodesias (now Zimbabwe, Zambia, and Malawi). Simultaneously, British settlers began expansion into the fertile uplands (often called the "White Highlands") of British East Africa (now Kenya and Tanzania). Most of these settlements were not planned by the British government, with many colonial officials concluding they upset the balance of power in the region and left overall imperial interests vulnerable. By the late nineteenth century, the descendants of the Dutch (known as Afrikaners or Boers) had crossed the Limpopo river into Mashonaland, now part of Zimbabwe (Rhodesia). Over many years, many Boers feared for their safety as the British neared closer to their lands for their natural resources. For this reason, many started to emigrate, however with the British already controlling Rhodesia (modern day Zimbabwe), their attention moved to Namibia, Botswana, and Angola. This journey, called the Dorsland Trek, went all the way through Botswana and into south-west Angola, which was under Portuguese control at the time. Additionally, during the pre-World War I era, Namibia was a German territory that led to significant German immigration to present day Namibia. The Scots played an enormous part in British overseas colonization, alongside the English, Welsh, and Irish. Scotland supplied colonial troops, administrators, governors, prospectors, architects, and engineers to help construct the colonies all over the world. From the 1870s Scottish churches began missionary work in Nyasaland/Malawi, in the wake of their illustrious predecessor, David Livingstone. Their pressure on the British Government resulted in Nyasaland being declared a British Protectorate. The largest and commercial capital of the country, Blantyre, is named after a town in Scotland and birthplace of David Livingstone. It is a testament to the love the African people had and still have for Livingstone that this name has not been changed after independence, like so many others. Scots immigration occurred in Southern Rhodesia/Zimbabwe, Northern Rhodesia/Zambia, and South Africa. The table below represents how small their numbers were compared to other sections of Rhodesia. Large numbers of French people settled in French North Africa from the 1840s onward. By the end of French rule in the early 1960s there were over one million European Algerians, mostly of French origin (known as pieds noirs, or "black feet") living in Algeria, consisting about 16% of the population in 1962. There were 255,000 Europeans in Tunisia in 1956. Morocco was home to half a million Europeans. No other region of the French African colonial empire attracted similar settlement, although there is still a comparatively large European population living in the former West African colony of Ivory Coast, which had the largest French population of France's former colonies of sub-Saharan Africa, numbering 60,000 in 1980, although its numbers are believed to have declined since then. There are also important white minorities in Gabon, Senegal, and Togo. However, prioritization of British power around the globe in the years before World War I, initially reduced the resources appropriated toward settlement. World War I and the Great Depression and the general decline of British and European birthrates further hobbled the expected settler numbers. Nonetheless, thousands of colonists arrived each year during the decades preceding World War II, mostly in South Africa, where the birthrates of British Africans increased suddenly. Despite a general change in British policy against supporting the establishment of European settlements in Africa, and a slow abandonment in the overall British ruling and common classes for a separate and exclusivist European identity, large colonial appendages of European separatist supporters of the British Empire were well entrenched in South Africa, Rhodesia, and Kenya. In keeping with the general trend toward non-European rule evident throughout most of the globe during the Cold War and the abandonment of colonial positions in the face of American and Soviet pressure, the vestigial remnants of Cecil Rhodes' vision was abruptly ended, leaving European Africans in an exposed, isolated, and weak position. Black Nationalist guerrilla forces aided by Soviet expertise and weapons soon drove the colonists into a fortress mentality which led to the break-off of ties with perceived collaborationist governments in the United Kingdom and Commonwealth. They felt betrayed by Europe, who moved their ancestors to Africa, for it's own financial means; profit from trade, then forgot about them to suit it's own political ends. Hence, today, Euro Africans view Britain as cowardly in a similar way to Australia has a love-hate relationship with 'the old country'. As did Livingstone, the heart of European Africans was in the continent; their home. The result was a series of conflicts, such as the Rhodesian Bush War, which eventually led to a reduced presence of European Africans due to emigration, genocide, and natural death. Many were murdered, tens of thousands driven off their lands and property, with many of those remaining being intimidated and threatened by the government and political and paramilitary organizations. However, what soon followed was a mass immigration to the perceived safety of Euro African rule (white, coloured and Indian) of South Africa, which is the African country known to have the largest Euro African population, currently with 1,755,100 British-South Africans. The rise of Shona fascism resulted in ethnic genocide of Euro Africans in Zimbabwe (Rhodesia) in the 1990s, as well as of Matables in the 1980s. Over a 1/3 of Zimbabwe (Rhodesia)'s Euro African population fled abroad between 1980–1984, with half of them emigrating to South Africa. Currently, the white English population of South Africa is mostly in the KwaZulu-Natal province and in cities such as Johannesburg and Cape Town. Currently in South Africa, both English and Afrikaners Africans both suffer under the new affirmative action plan, which gives non-whites a greater chance of collecting white jobs. Because of this, hundreds of thousands of Euro Africans are leaving South Africa to struggle with new lives abroad; they are settling United Kingdom, Australia, New Zealand, United States, Canada, Netherlands, and Ireland. Currently, a Euro African politician, Helen Zille, runs the Western Cape province of South Africa, where 94% of the population is Euro African. She also heads the South African opposition party, the Democratic Alliance. There are various suggestions by other Euro African political groups for various parts of the Cape to form an independent state to cherish the Afrikaans language and other heritage..